For the past 55 years, Graphic Design USA’s American Package Design Awards have celebrated the best in graphics and packaging. Shikatani Lacroix is proud to have been recognized at the 2018 awards for Quaker Steel Cut & Super Grains’ packaging design. SLD has been working on the Quaker brand for over 15 years, but faced a new challenge when the company needed innovative packaging architecture and design for the launch of their two new hot cereal products. 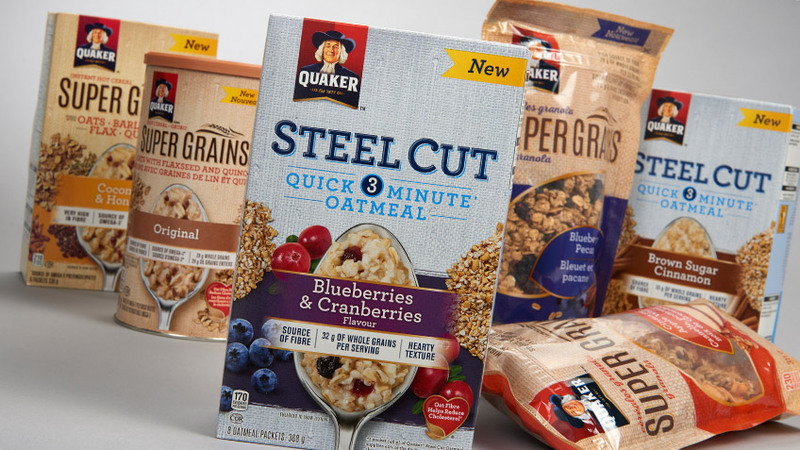 The designs needed to differentiate Quaker Steel Cut & Super Grains from the competition as well as Quaker’s regular brands, while highlighting the health benefits and unique ingredients of the products. The resulting packaging designs stand out on the shelf, leverage the strong Quaker name and communicate the special qualities of the new premium products. By incorporating textural elements in the designs, the packaging emphasized the artisanal style of the products, while the use of round canisters paid homage to the original Quaker Oat’s tin shape. To find out more about the Quaker Steel Cut & Super Grains project, you can read our case study here.